If you’ve ever dreamed of starting your own business, or if you’ve ever wondered about how to build up the business you already run, but worry because you don’t have an MBA or a couple of years of college business courses, this book is for you. 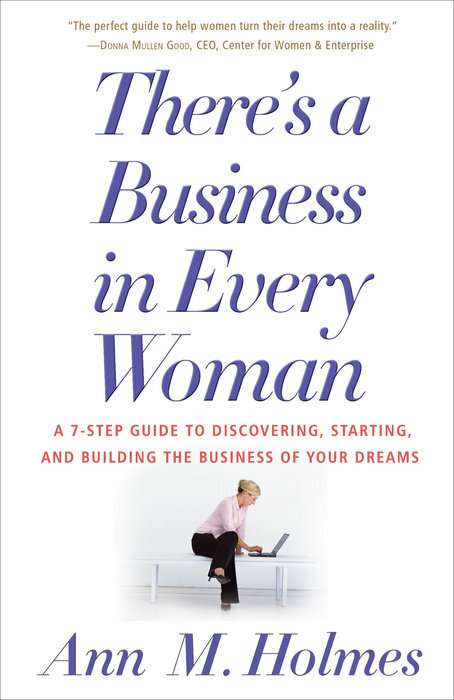 Based on extensive interviews with more than eighty women entrepreneurs from around the country, There’s a Business in Every Woman offers inspiring success stories (and instructive missteps) in a wide range of businesses–from catering, landscaping, personal training, and wedding and events planning to interior and clothing design, staffing, manufacturing, and product design. What the trailblazing women in this book have in common is a good idea and the courage to turn a dream into a money-making reality through hard work, passion, and drive. Take, for instance, the woman who started an IT consulting company in her basement and now has more than a thousand employees in three states; two jogging buddies who commiserated about their uncomfortable bras and went on to design and produce a jog bra, creating a company that Playtex ultimately bought for millions; the mom whose hand-made birthday-party invitations made such a splash that she launched her own custom party invitation company, which she expanded to include holiday cards, gift tags, bags, and more; the sixty-five-year-old corporate wife and mother who applied her domestic talents to opening a profitable B&B; the twenty-three-year-old who bought a fledging real estate franchise and now earns a healthy six figures annually. These success stories highlight the practical: focusing on what you’re good at; setting up your business properly–even if you are starting out from your basement or garage; getting financial backing when you need it; marketing your products with sizzle; networking like the “good old boys”; understanding how and when to diversify your products or services; managing your growth; and, most important, knowing what your company is worth and when it might be lucrative to cash out. An accessible crash course in starting and running your own business, There’s a Business in Every Woman will teach you everything you need to know to turn your pipedream into serious profits.